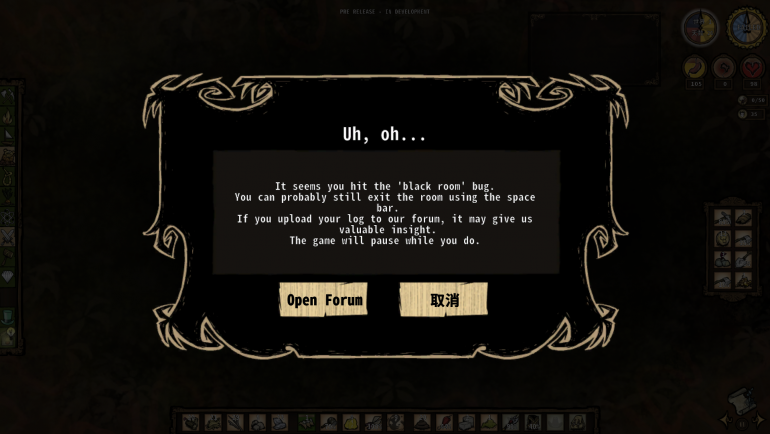 Update: We found a cause for the "black room bug" and fixed it. It's possible it does not solve all the ways that can happen, we are still looking into it. We can't retroactively fix old save files that had the issue tho. We recommend starting new games if that was the case. If you've run into the "my whole house is black with no walls and just the HUD" or "this store is black", I could use your help. It's my top priority issue to fix but it's proving difficult to make happen, and once it's happened it's too late to see what caused it. Now we are looking for info on when this happens without cheating. We know it happens if you spawn a house inside a house, but that is not something that could happen through regular gameplay. 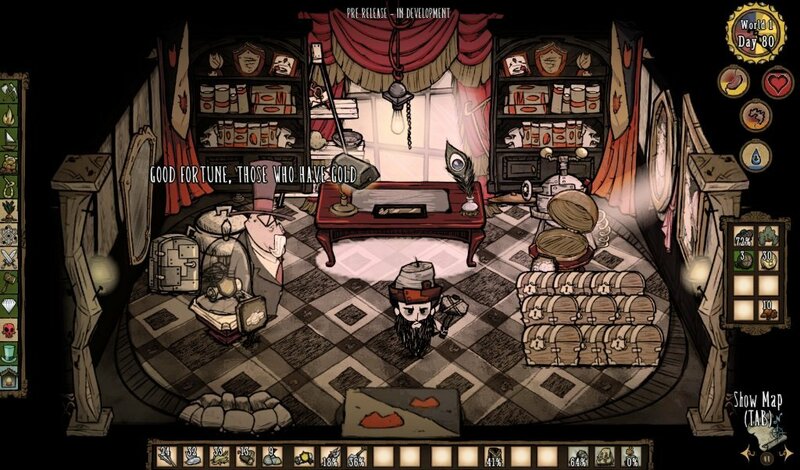 However, it can also happen during regular gameplay and so far I've been unable to put my finger on why. We added more debug info to the log file, so if you run into the bug it would really help if you could reply to this post and attach your log file (log.txt from your game document directory, see below) and any information you think could be of help. Also, if you do get stuck in a black room, and the space bar doesn't let you get out of it, you can try the console command c_tryexitblackroom() which will try to spawn you outside the building, although it most likely won't work in all situations. -I couldn't see in the Academy, I checked one other store and it, too, was black. I ran into the black house/store bug yesterday. 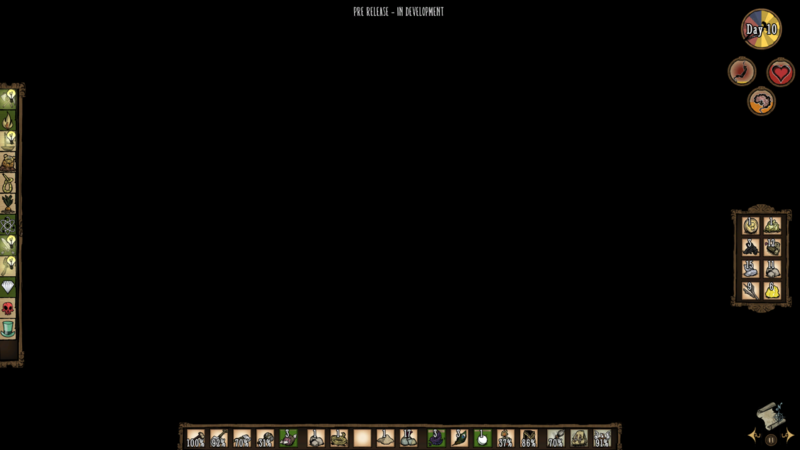 Still have the save, so I went back to it and all but the Swinebury Fine Grocer's are black screen. c_tryexitblackroom() lets me exit all buildings. However, I was playing Warbucks without having him unlocked, since you can play him by switching from RoG to HAM during character selection. Not sure if that falls under the "without cheating" clause. I *think* the character wouldn't make a difference, but since I don't know what causes the bug...who knows! I'm studying your log file and It seems your game was already affected. I try to track when an anomaly with regards to the bug starts showing - sadly it seems your world was already 'broken' when you got this patch, so it doesn't give me quite the full picture - I hope to catch one 'as it happens' so to speak, it's...puzzling. If you happen to start a new world and it happens again, please make sure to send your log file, I really appreciate the help. Well, it's puzzling on this end as well. After my last post I went to play my current world (Wilson) and now my house in that save is suddenly black screen. The contents of my house have all magically migrated inside the nearest shop. When I exit the shop, my character stands next to my house, not the shop. Got this bug just right now. I can go out an in by hitting space. I entered the same shop before without problem, the day before. 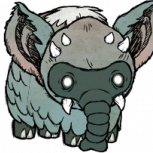 This should be the save file related, just in case this could help ? "i'll die in darkness or i'm in wall?" but a few moment later ,there your tip for forums ,then i see map,i was near the entrance,so i clicked the blank, i'm out !! 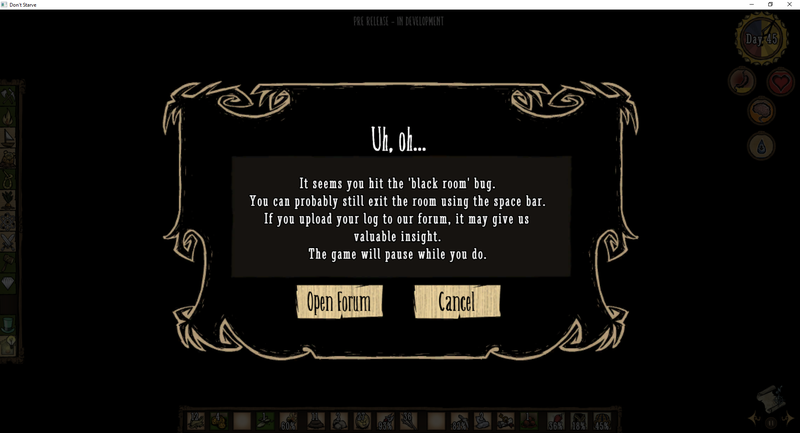 I've had this bug in a previous save, but it's been i've died there so i don't have the file anymore. It started with one shop, and then my house, but some shops still worked. Then a third shop too. When i went in my house, and exited with space bar, i appeared next to the flower shop. I could still pick up items from the shelf and ground, and had access to the alchemy machine inside my house, but obviously couldn't click on the crockpot. If i went in the flower shop, i exited from the flower shop. 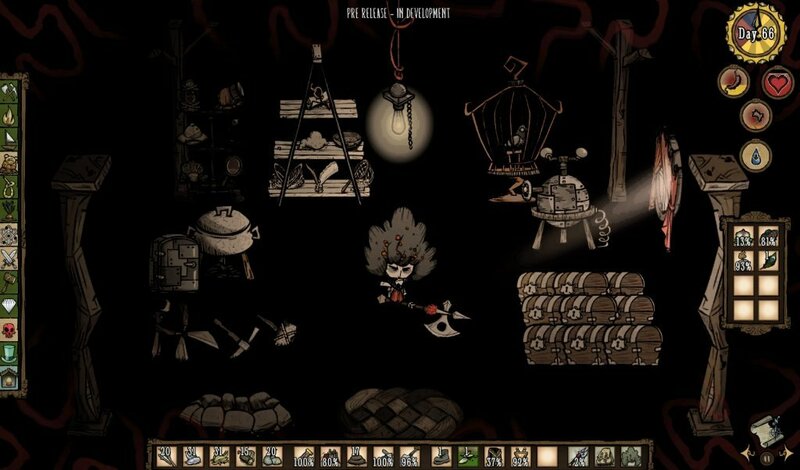 Hello KLei, I met the same bug when I enter my own house, here is the game log, I ll be appreciated if you tell me how to solve it. 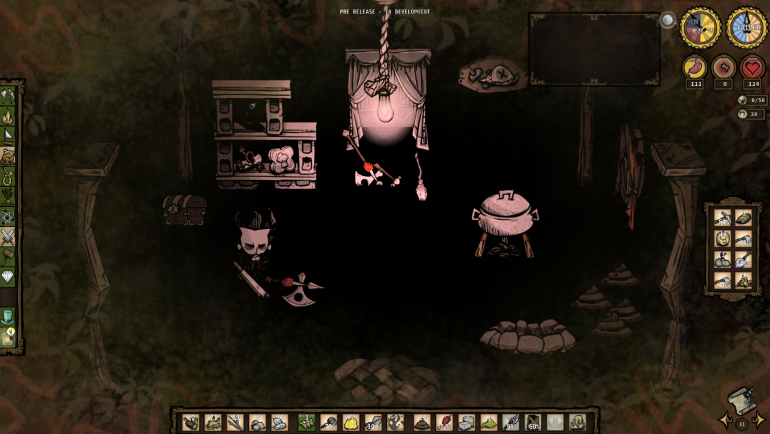 So I'd saved in my home last night, and this morning when I started up the game the house was a black room, but I could still see the items and such I had in there. When I walked outside and back in, that's when everything was black. Here's my log, as per the prompt. Hope it helps! 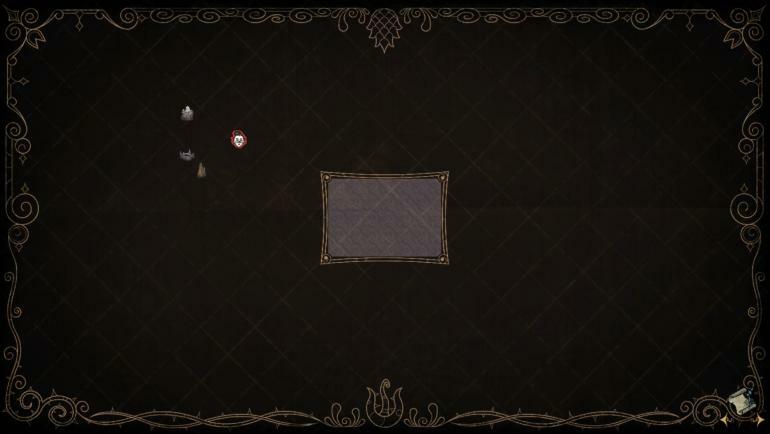 Edit: added a screenshot of the mini-map. Yeah, the coordinates in the console log looked weird because they were. 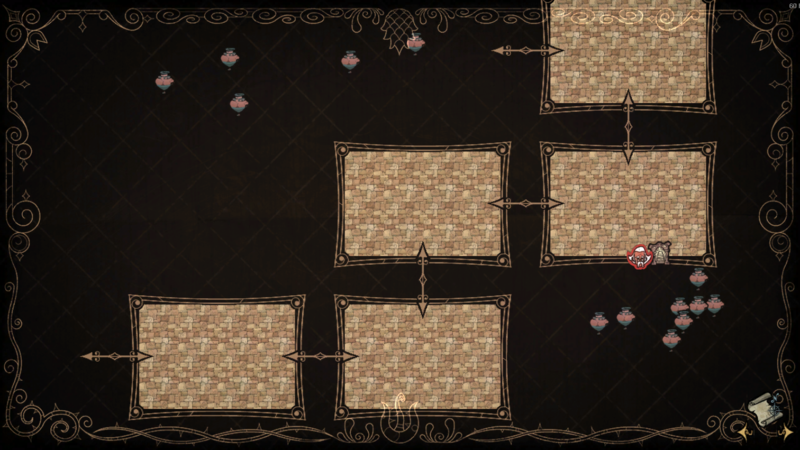 Also, it looks like this might be a world gen issue. I used the map to figure out where the door is and was able to exit. Re-entering put me in the exact same position. However, the console command did nothing for me. It seems the bug cannot occur on Windows 10. Really now? How you figure? Not true. 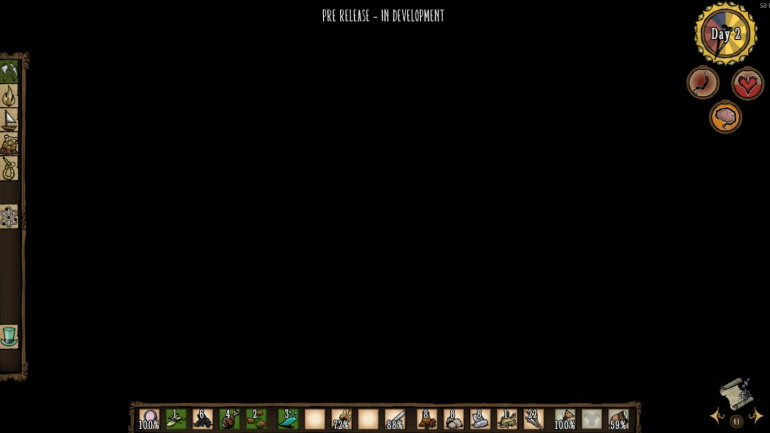 I have Windows 10, and I got the bug in a Wolfgang save. 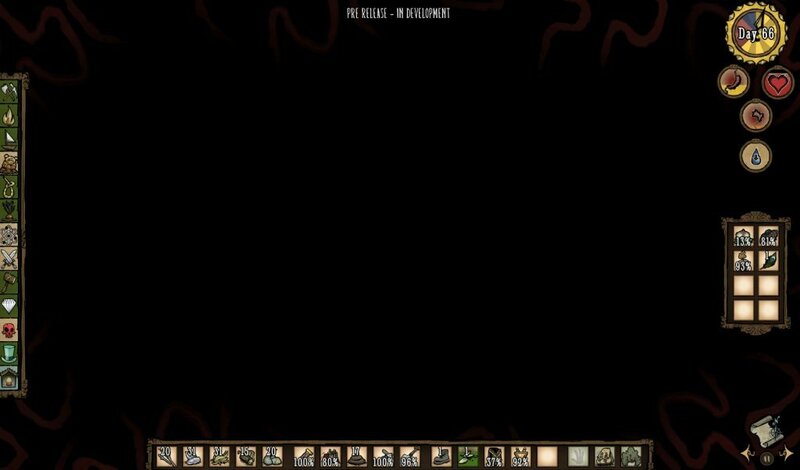 I see just black screen when enter house. Good luck while fixing bugs!